As the owner and operator of her own successful dance studio for the past 14 years, Ms. Blake has secured a solid reputation for her professional teaching style and true commitment to her students. Concurrently she has maintained a Master Teacher staff position, touring around the United States and Canada, with Dance Olympus’ Fall and Summer Tour for over 14 years. As a Master Teacher, Amy has worked with dancers all across the country at various colleges, dance studios and conventions. 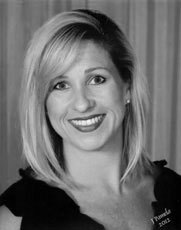 Mrs. Blake is an adjudicator for competitions and has judged for Dance Masters of America, Hawaii International Dance Festival, Dance America and numerous others. Amy’s formal training was under the close direction of Shelly Power’s Academy of Dance and the Houston Ballet Academy where she has also worked as a guest instructor for their Summer Intensive Program. Amy has received many scholarships and trained with numerous teachers and choreographers in Chicago, Los Angeles and New York. Professionally, Amy danced with Houston Grand Opera in such productions as Annie Get Your Gun and Attila the Hun. just to name a few, as well as Texas Dance Theater, Joan Karff’s New Dance Group, World Jazz Dance Congress and Kountry Fever in Las Vegas. Mrs. Blake continues to give back to the community by presenting her biannual performance of The Nutcracker which is performed in local hospitals, nursing homes and shelters. Amy’s mission is to not only educate, but to inspire the love of dance and passion for the arts in each student that she has the privilege of teaching. As such she mentors her Senior Company members, who desire to further their dance education in college, through the audition process. Former Amy Blake students have been accepted to dance programs at Southern Methodist University, Loyola Marymount-Los Angeles, Marymount Manhattan College and others.